The Mini Seven Racing Club is pleased to announce for the 2017 season, the launch of the Mini Libre formula. This new formula, meaning ‘free’ or ‘liberty’ - is the M7RC’s modern-day interpretation of those heady days of Free Formula and Special Saloons in the late-1960s/early-1970s, where Mini tuning really began to push the boundaries of performance. Mini Libre will once again offer racegoers the spectacle of power-packed grids, with the now 1.3-litre Miglias ready to do battle alongside equally enthralling Mini variants and A-Series developments of the modern era. Alongside the 2017 Mini Miglia champion-to-be, the M7RC will also be looking to ‘crown’ their first ever Mini Libre champion at the end of season awards, with the winner receiving the prestigious ST Trophy. As the name implies, the Mini Libre formula is open to all steel-shelled FWD racing Minis, running on 10-inch wheels and powered by a traditional A-Series block and gearbox. It will be a free formula, as it was in the early '70s, to allow car building creativity to really shine. 1460 on twin split Webers, or 998 turbo? All good! The Mini Libre formula will run with the Mini Miglias at each of their 14 rounds of the 2017 Championship, with the ST Trophy awarded to the winner at the annual end of year trophy presentation. 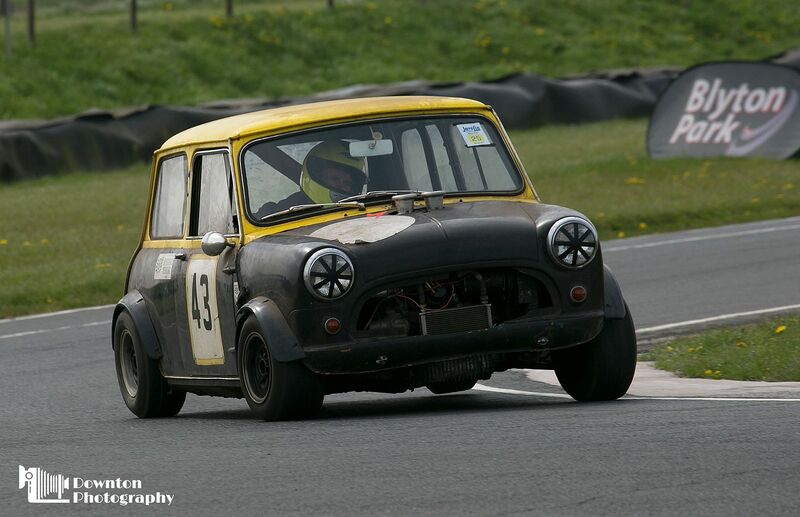 We race at some of the very best circuits in the UK including both MSV Mini Festivals, north and south. Regulations for the new series will be released in due course. The basic outline is a Mini Miglia style racer using a steel bodyshell (no spaceframes), BMC A-Series engine of any type and 10-inch diameter wheels. The usual safety regulations and MSA scrutineering will apply. Expect to see BMW bike head conversions, 7-ports, 8-ports, KAD twin cams, turbos, fuel injection and five-ports that wouldn't usually comply with our 1293cc Mini Miglia regulations. 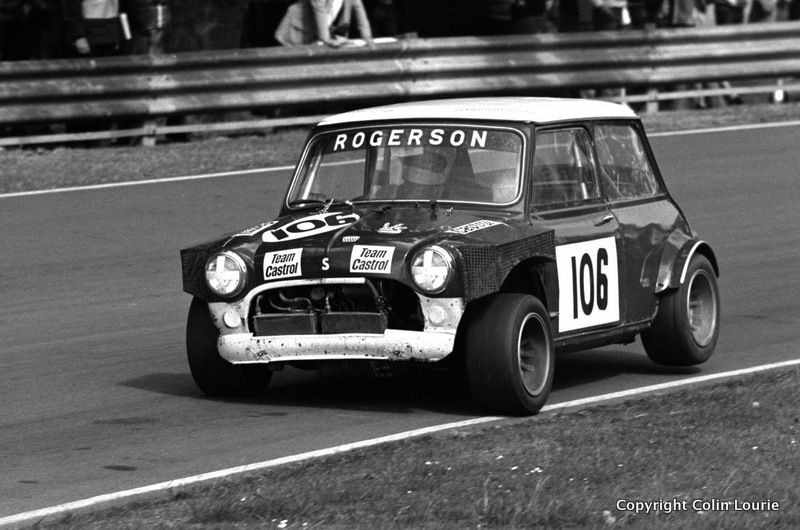 Perhaps you already have a 1380cc hillclimb Mini and fancy joining in with the Miglias, or maybe there's an old Miglia and a collection of engines lurking in the garage? We want to see you back on track, and now's your chance! Yes definately, Oulton and Mallory spring to mind. 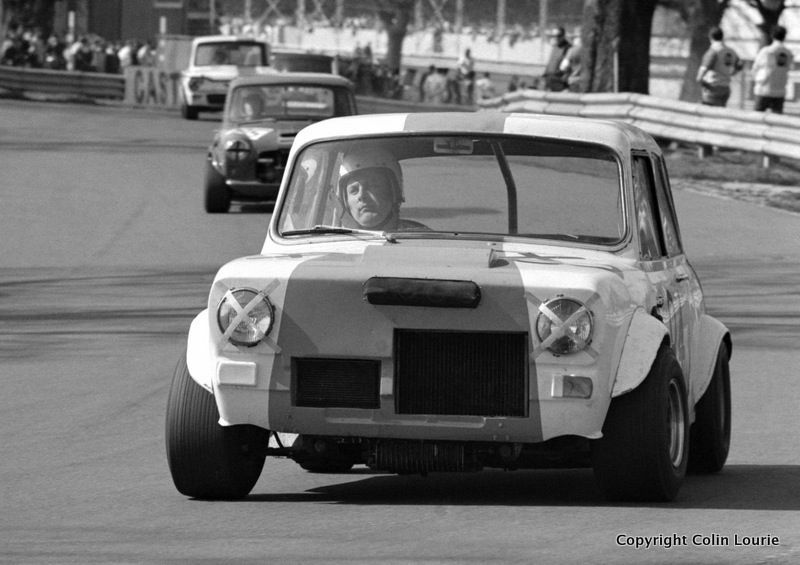 Brian Redman tested it at Aintree to try and tame the handling. It was also 'drag' raced at Santa Pod and hillclimbed at several venues, currently owned by Jonathan Buncombe. Thanks, Surf. 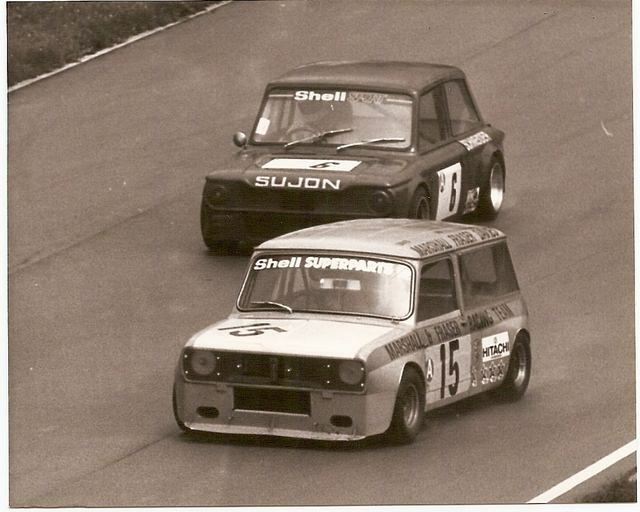 I've seen the Oulton clip before but it was only a test session by the look of it. 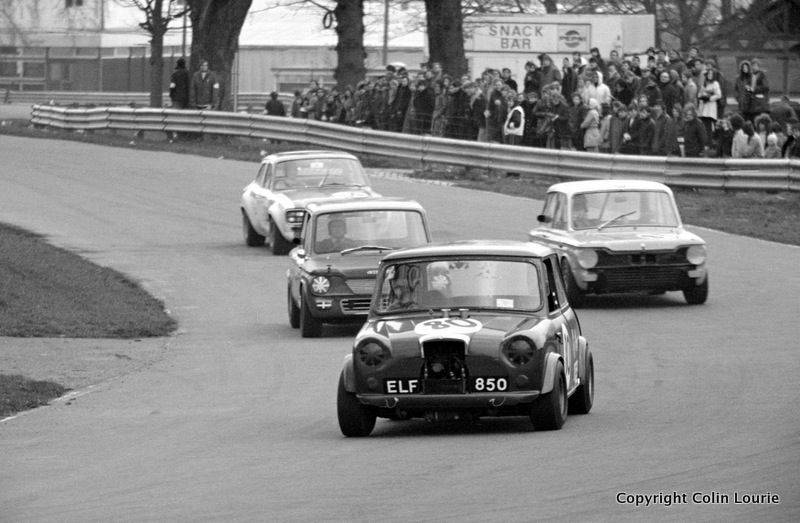 I've also seen reference to Mallory Park Boxing Day meeting but not sure the Mini Buick actually turned up or raced. Yes the Oulton clip was a test/publicity day and yes Harry did indeed turn up at Mallory and race the Buick on Boxing Day 1964. I've a few photos of it on track. There may be one on the Mountgreen website. 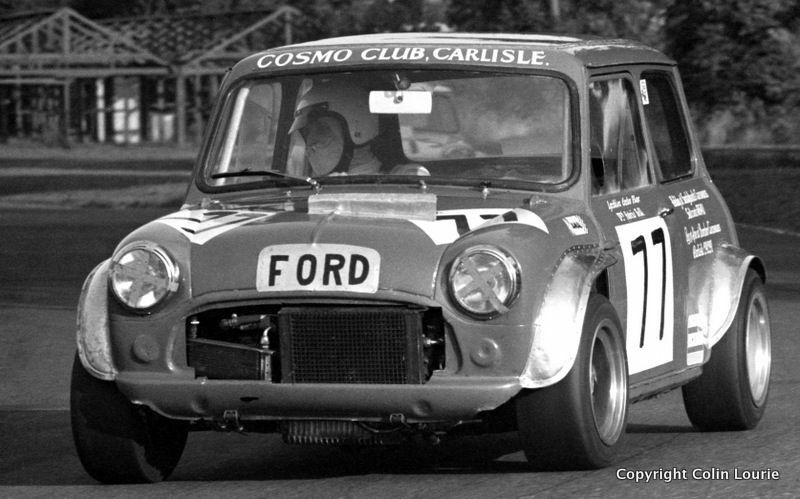 Brilliant set of Colin Lourie photos in the link below and here are just a few of the many Mini's to be seen! "The Royal Highland Showground at Ingliston, west of Edinburgh, was used as a motor racing circuit from 1965 until 1992. 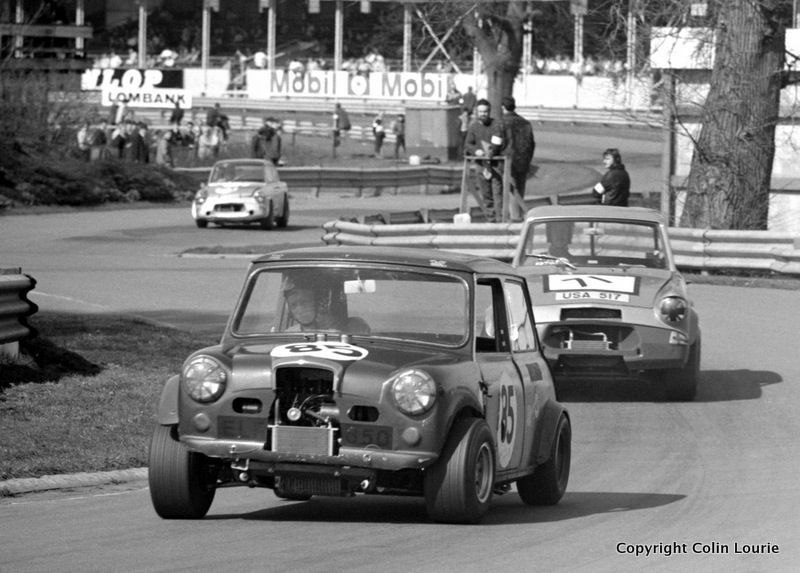 From 1966 to early 1969, I took photos as a spectator - mainly from Caravan corner. Then, along with Eric Bryce, I was Ingliston’s official photographer for the Scottish Motor Racing Club from August 1969 until 1976 - and took many of the photographs that appeared in race-meeting programmes. In its day, Ingliston was a great little track. 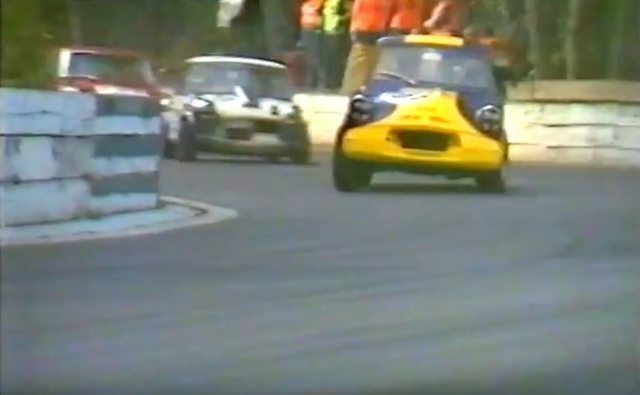 It was tight, the cars were never far from Armco and the racing was invariably close. 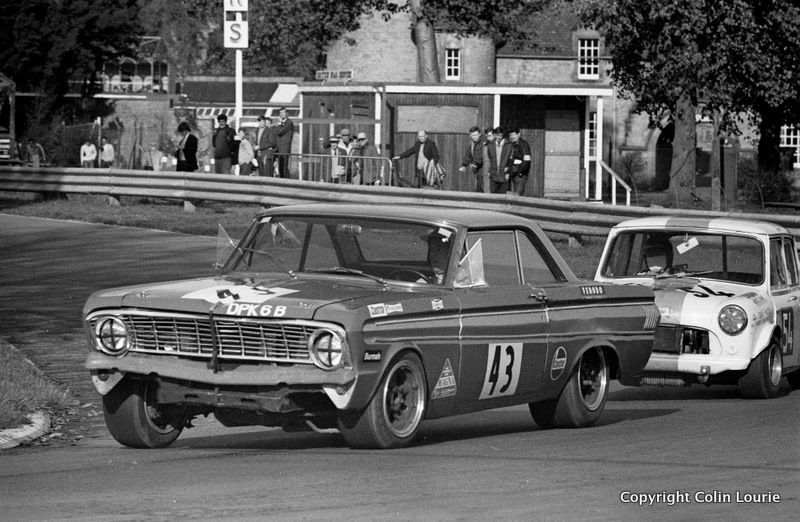 Motor racing, then, was not a contact sport - and invariably any car with a loose or departing part was black-flagged. Slicks and marbles were unheard of in my days at Ingliston and only laterally did I see anyone stick a thermometer in a tyre. In October 2010, I started scanning my negatives to show on this website. It’s going to be a big job - having taken upwards of 200 shots at each of six race meetings a year for 7 years. A serious burst of scanning activity in 2015 has brought the total number of photographs to over 500. Hopefully, these photographs fill a gap and help revive a few memories." 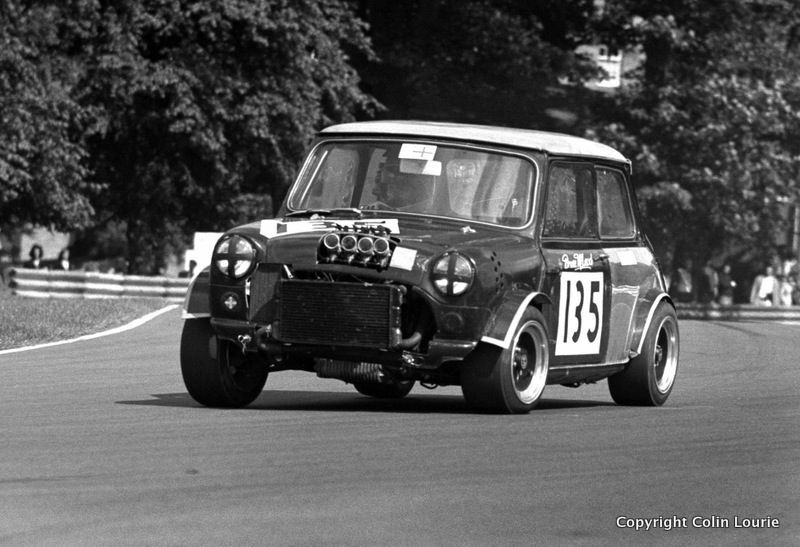 "VJB 39 - 1960 time-warp mini, extensively raced at Silverstone between 1973 and 1975, on the track for the first time in 42 years!" 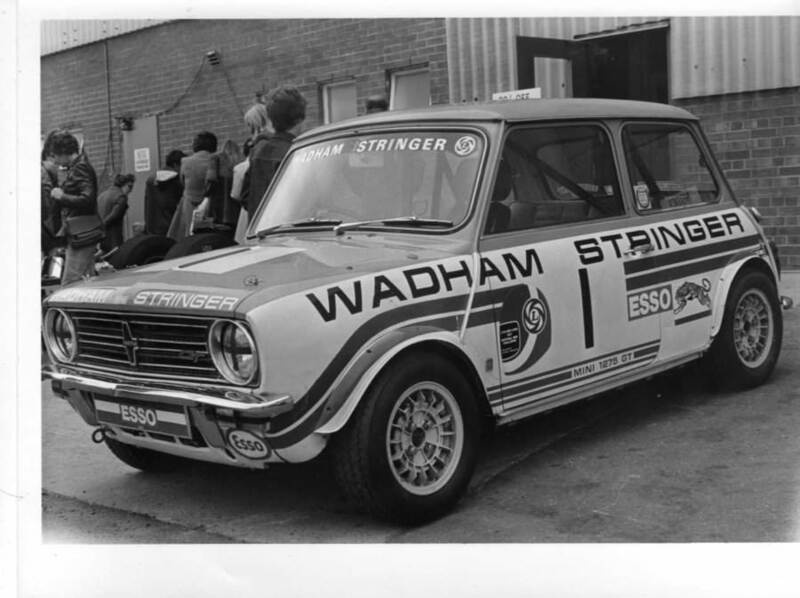 Cool looking '70's race Mini at the recent Blyton Mk1 Action Day and a great photo! 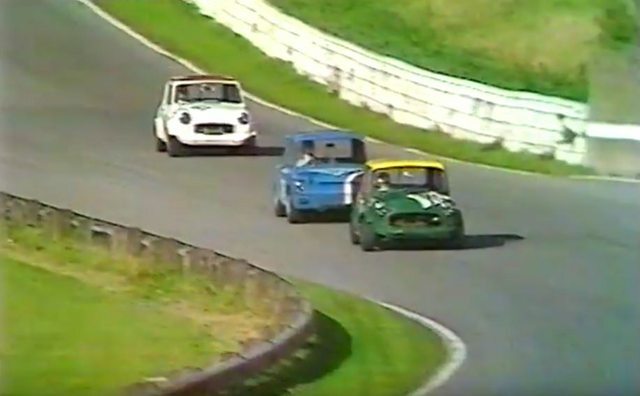 Also a great bit of video in link to 'Sporting Minis' below......of how I remember free formula race Minis sounded in the paddock during the 'unrestricted' 1960's and 70's era. 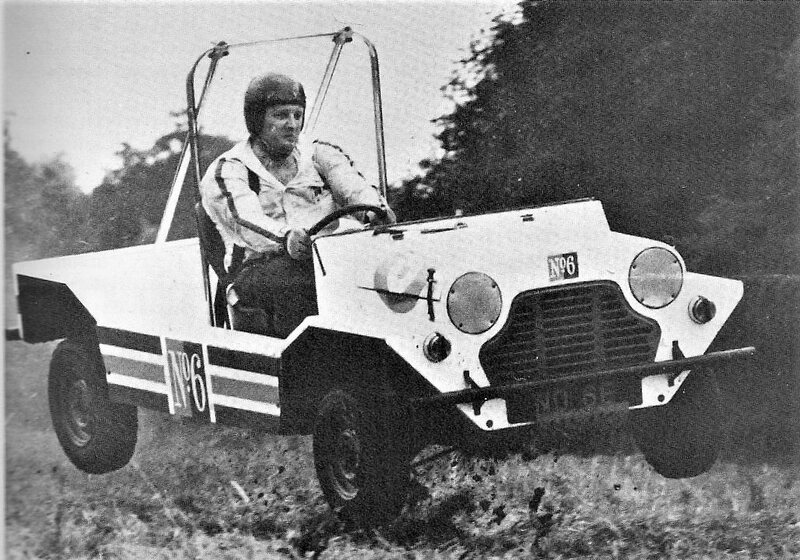 Gerry Marshall auto-crossing in the celebrity Players No.6 Moke. And John Schneider I Think?? 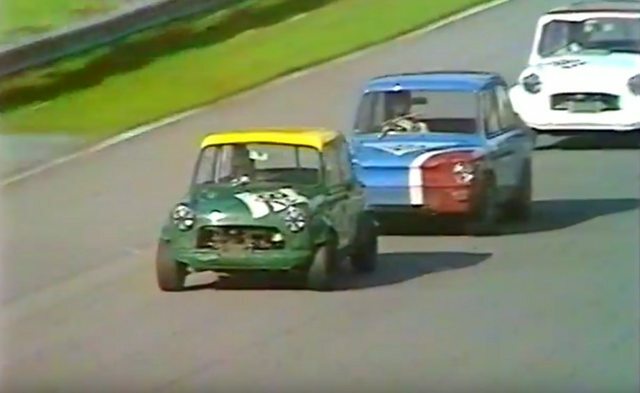 The up to 1000cc Saloon car race from Crystal Palace (10 laps) as shown on BBC Grandstand. Commentary by Murray Walker. 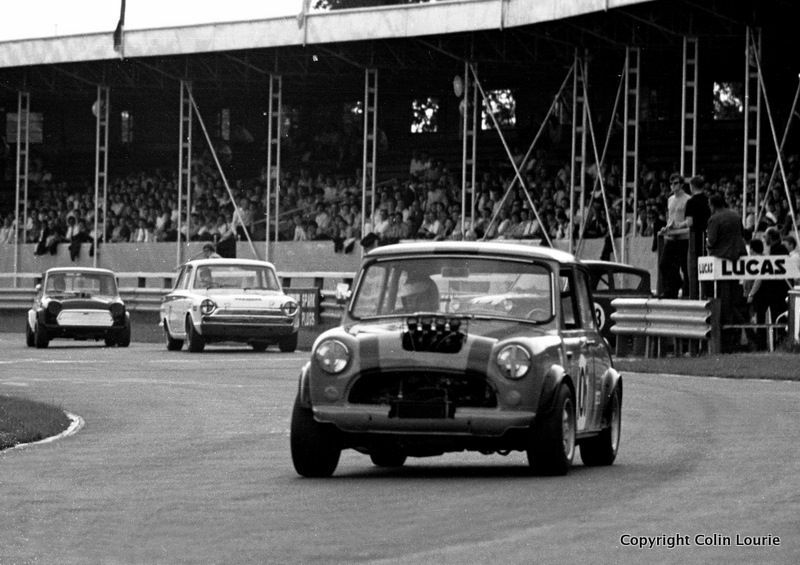 Late 1960's Brands Hatch - Mini Festival?